There are several options for all-inclusive Transatlantic cruise lines: Azamara, Crystal, Oceania, Regent, Seabourn, Seadream, Silversea and Viking. Each cruise line offering Atlantic crossings has its own twist on what is included, so we provide the details below. Azamara Transatlantic cruises include your stateroom or suite; select standard spirits, beers and wines; bottled water, soft drinks, coffees and teas; gratuities; self-service laundry; and concierge services. Suite guests also get butler service and specialty restaurants dining. Dining options included: Discoveries Restaurant, The Patio, Windows Cafe, and Mosaic Cafe. Dining options for an additional fee: Aqualina and Prime C.
Other not included: casino, internet access, medical services, and shore excursions. Crystal Transatlantic Cruises include your stateroom or suite; non-alcoholic beverages; wine, champagne and spirits; afternoon tea; dance lessons; finess classes; production shows; movies; self-service laundry; and gratuities for housekeeping, bar and dining staff. Dining options included: main dining room, Trident Grill, Lido Cafe, the Bistro, and room service. One evening meal at Prego, Silk Road and the Sushi Bar is included (more meals at the specialty restaurants are an additional cost). Other not included: casino, internet access, medical services, professional photos, and shore excursions. Oceania Transatlantic Cruises include accommodations; soft drinks, bottled water, specialty coffees, teas and juices; enrichment center; and shuttle service from ship to city center in many ports of call. Dining options included: all restaurants are included in the cost of your fare. Other not included: alcoholic beverages, casino, internet access, laundry services, medical services, phone calls, photography, shore excursions, spa and salon, and gratuities. Regent Seven Seas Transatlantic Cruises are the closest thing to completely all-inclusive. 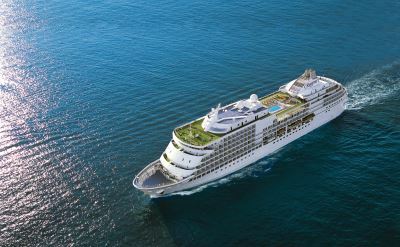 They include a suite, domestic flights, transfer between airport and ship, shore excursions, pre-cruise hotel stay, wine and spirits, open bars and lounges, soft drinks, gratuities, lectures, production shows, live music, cooking demonstrations, wine tastings, and unlimited wi-fi. Dining options included: all restaurants and room service are included. Other not included: casino, medical services, phone calls, and photography. Seabourn Transatlantic Cruises include a suite; fine wines and spirits; in-suite bar and refrigerator stocked with your preferences; welcome champagne; Evening Under the Stars; Massage Moments; and gratuities. Other not included: gambling, internet access, medical services, and shore excursions. Seadream Transatlantic Cruises include stateroom; gratuities; select wines, beer, and spirits; specialty coffees, and soft drinks; and Starlit Movies. Other not included: spa treatments, premium wines and spirits, wi-fi, and shore excursions. Silversea Transatlantic Cruises include a suite, butler service, gratuities, select wines and premium spirits, specialty coffees, and soft drinks. Other not included: gambling, internet access, shore excursions, photographs, and medical services. Viking Transatlantic Cruises include a stateroom, Culture Curriculum, one shore excursion in every port of call, unlimited wi-fi, cooking school, fitness center, self-service laundry, specialty coffees, and complimentary wine, beer and soft drinks at lunch and dinner. Other not included: gambling, gratuities, photographs, and medical services.